You are currently browsing the tag archive for the ‘project gutenberg’ tag. I’ve recently read a great book about books for the Project Gutenberg Project: an adventure story set aboard a book caravan – the Parnassus – at the beginning of the 20th century. Is it just me or lately all good ideas seem to start with a Twitter chat? In one of those chats Tasha pointed out that, although sites like Project Gutenberg and Librivox offer a universe of free books (and audiobooks), it’s hard to use them to make new discoveries. With this in mind, the Project Gutenberg Project was launched yesterday (it’s all about spreading the love! ): a cooperative book blog that aims to share and help readers find classic books that are available for free in the public domain. At PGP, we want to help readers find public domain books they might be interested in, discuss what did and didn’t work for us, discover (or rediscover) classics, and celebrate our favorite books in the process. 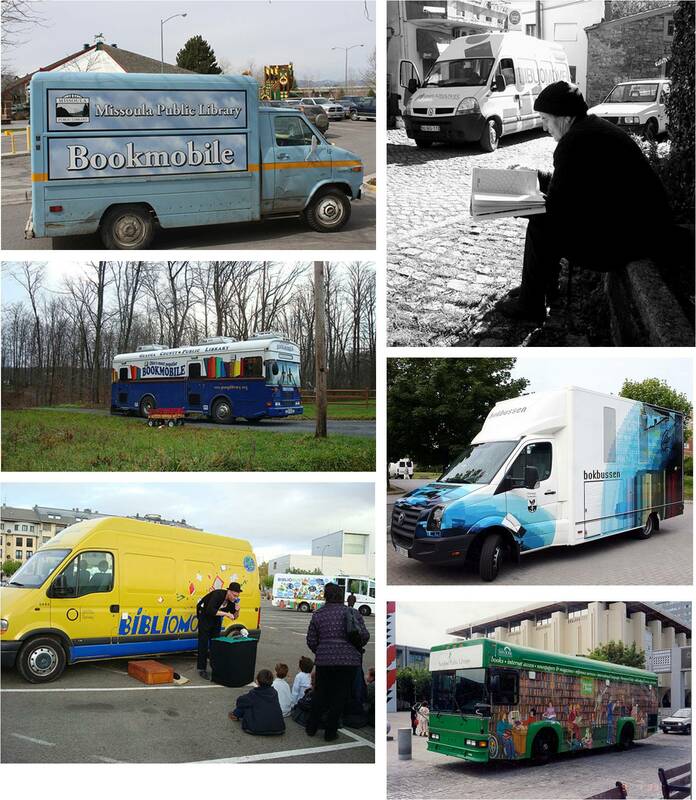 If you’ve read a book available in the public domain that you’d like to tell others about, feel free to contact us. So please visit the this new addition to the book blogosphere, say hi, don’t forget to add it to your feed, and join us in discovering the literary treasure-trove that’s Project Gutenberg. 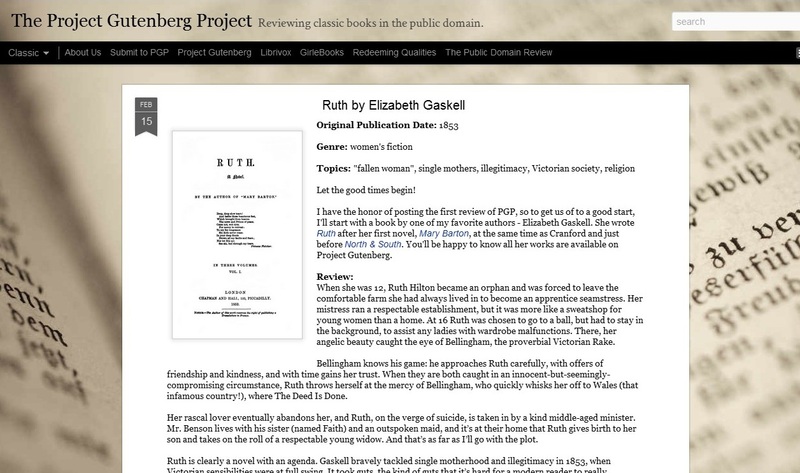 I’ve had the honor of kicking-off the reviews with a post about “Ruth” by Elizabeth Gaskell.